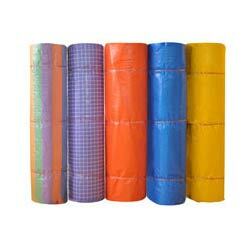 We are one of the top-notch Manufacturers and Wholesale Suppliers of quality assured HDPE Woven Fabric. HDPE Woven Fabric has an extensively used for packing cement, chemicals, fertilizers, foodgrains, etc. Manufactured using high grade HDPE material and latest machinery under the supervision of highly skilled professionals, the HDPE Woven Fabric is very durable and high in strength. Further, the offered range of HDPE Woven Fabric is tested against various parameters of quality before delivery to the client. We offer our entire range of HDPE Woven Fabric in different colors, sizes and dimensions at industry leading prices.